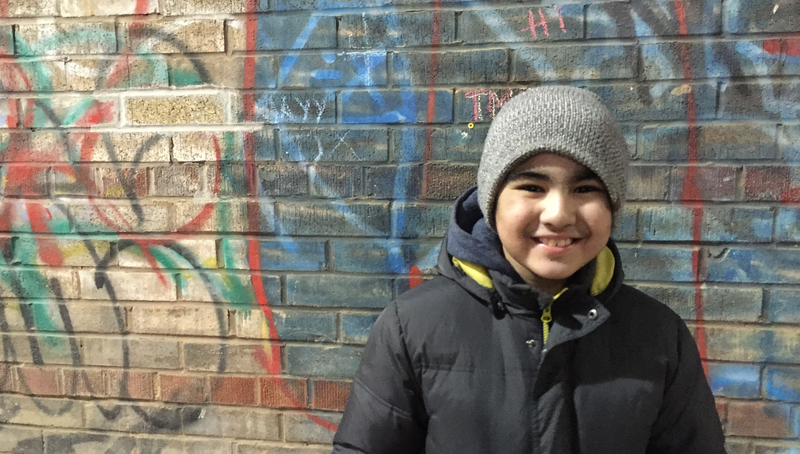 Aary and his family’s journey has been difficult, but it’s also hopeful, because hope is what financial support makes possible. 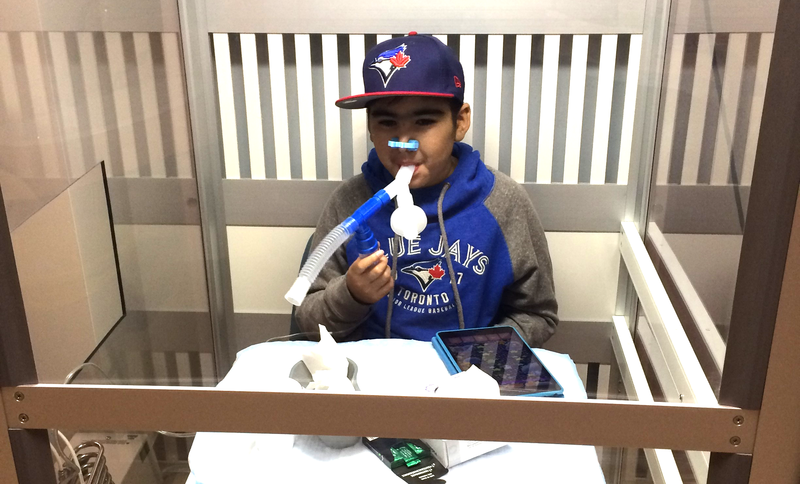 We’re grateful to Aary’s mom Jenny for sharing his story with us, and hope that it inspires you as well. Today, my son is alive because of Canadian Blood Services. He is alive today because of kind and caring financial donors. Blood products from Canadian Blood Services have saved his life over and over again. When Aary was 10, he got sick. His gums kept bleeding, and he had a rash. We knew something wasn’t right, so we called our dentist, and they told us to rush him to the emergency room. When we did, they ran some tests and immediately gave him a blood transfusion. My husband and I didn’t know what was happening. It felt like a blur. I remember asking one of the nurses why the blood Aary was getting was yellow—isn’t blood supposed to be red? She explained that the yellow bags were filled with plasma and platelets, because Aary’s body wasn’t producing any of these on his own. He had no immunity, and desperately needed the transfusion while the medical team figured out the cause. That was our first experience with blood products from Canadian Blood Services. But it was far from our last. Aary was diagnosed with Aplastic Anemia that weekend in the hospital. Basically, his bone marrow wasn’t working properly, and wasn’t able to produce the blood cells he needed. We learned it’s very rare, with no standard treatment protocols. He’d need to try chemotherapy, or find a stem cell match—which turned out to be highly unlikely, due to his mixed ethnicity. Today, almost three years later, Aary is in “remission”. He has what is called a “partial response” to the drug therapy. 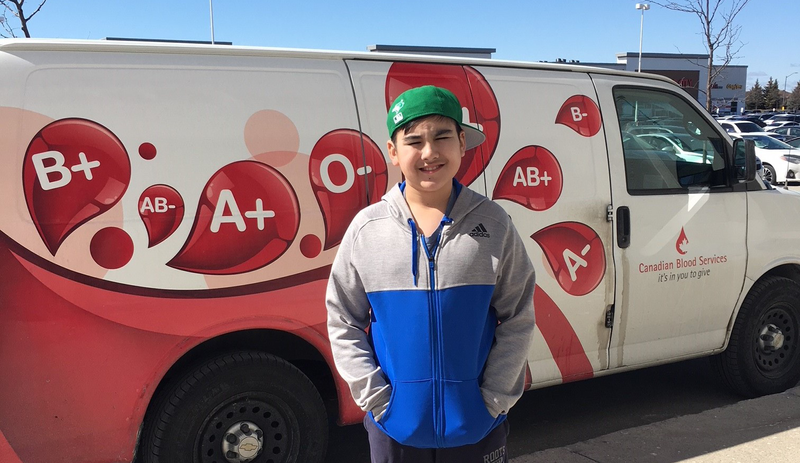 He’s still not 100% back to being himself, or to doing what other 12-year-olds do, but I’m so incredibly grateful to Canadian Blood Services for giving him a fighting chance. Aary needed almost 100 life-saving blood transfusions. That’s equivalent to nearly 4,000 individual donations. And he’ll likely need many more in the years to come. Without support for the work that Canadian Blood Services does to make sure those blood products are available, Aary would not have been given the chance to survive. I will forever be grateful. When Aary was in the hospital, he needed so much blood product that I was worried they would run out. It was so scary. The medical team explained how Canadian Blood Services trucks are always ready for emergencies, and on the road all the time to drop off the next shipment. That’s why Aary gets excited when he sees a Canadian Blood Services truck out on the road. Our whole family does! Aary’s journey continues to be challenging. I know he’d love to be able to be back out playing baseball this spring, but instead we’ll watch as many Blue Jays games as we can. Sharing our story isn’t easy. But it’s important. Together, we can help make sure blood products continue to be there when kids like Aary need them. Make a lifesaving difference for kids like Aary.